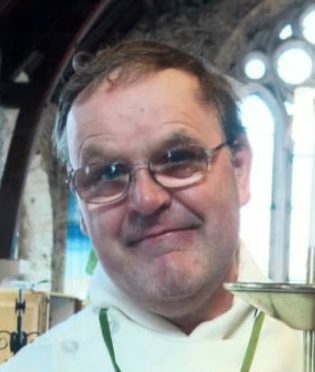 Missing man Colin Lintott, 61, from Oban. Colin Lintott was last seen on Station Road in Oban at the bus stop around 6pm on Tuesday carrying two large pieces of luggage. His family reported him missing to police as it is out of character for him to go away without anyone knowing. He is described as being white, 5ft 8 of medium build with grey receding hair and stubble. He wears thick rimmed glasses and walks with a limp. He was last seen wearing a dark coloured jacket and trousers and was carrying a large black suitcase and black holdall. Sergeant Karen MacLennan, Oban Police Office, said: “It is very out of character for Colin to go missing, we are carrying out a number of lines of enquiry to try and trace him and make sure he is safe and well. “It is believed that he was trying to travel to Glasgow, however we know he did not get on a bus at that time and have no further information that indicates he did get on another bus. “We are working with the relevant transport companies, British Transport Police and checking CCTV to try and trace his movements. “We are appealing for anyone who knows the whereabouts of Colin, or have seen him recently to get in touch. He was carrying quite large items of luggage which hopefully may jog somebody’s memory. Anyone with any information is urged to contact Police via 101.